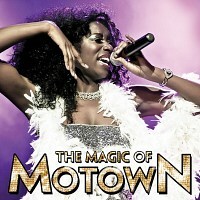 Direct from USA, the stage show that's taken the country by storm is coming to town - it's the Magic of Motown. Includes songs by Temptations, Diana Ross and the Supremes, the Four Tops, Marvin Gaye, Martha Reeves, Smokey Robinson, Mary Wells and Stevie Wonder amongst others. Sat 3rd Aug 2019 The Magic of MotownThe Grand Pavilion - Porthcawl (Bridgend)More Info.. Sat 21st Sep 2019 The Magic of MotownFfwrnes (Llanelli)More Info..
Thu 3rd Oct 2019 The Magic of MotownThe Hexagon (Reading)More Info.. Sat 2nd Nov 2019 The Magic of MotownPyramid/ Parr Hall (Warrington)More Info..